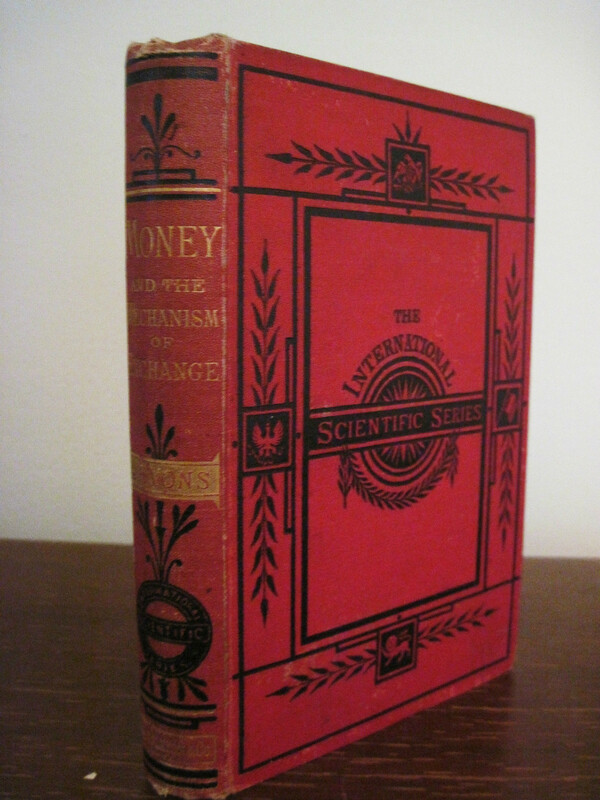 MONEY AND MECHANISM OF EXCHANGE - IFA Vintage and Current Book Library - Index Fund Advisors, Inc.
Notes: D. Appleton, 1876. VG for age. Interior name on inside cover, toned spots. Boards have some edge wear, rubbing, surface flaws. A solid copy. William Stanley Jevons ( 1 September 1835 – 13 August 1882) was a British economist and logician. Irving Fisher described his book The Theory of Political Economy (1871) as beginning the mathematical method in economics. It made the case that economics as a science concerned with quantities is necessarily mathematical. In so doing, it expounded upon the "final" (marginal) utility theory of value. 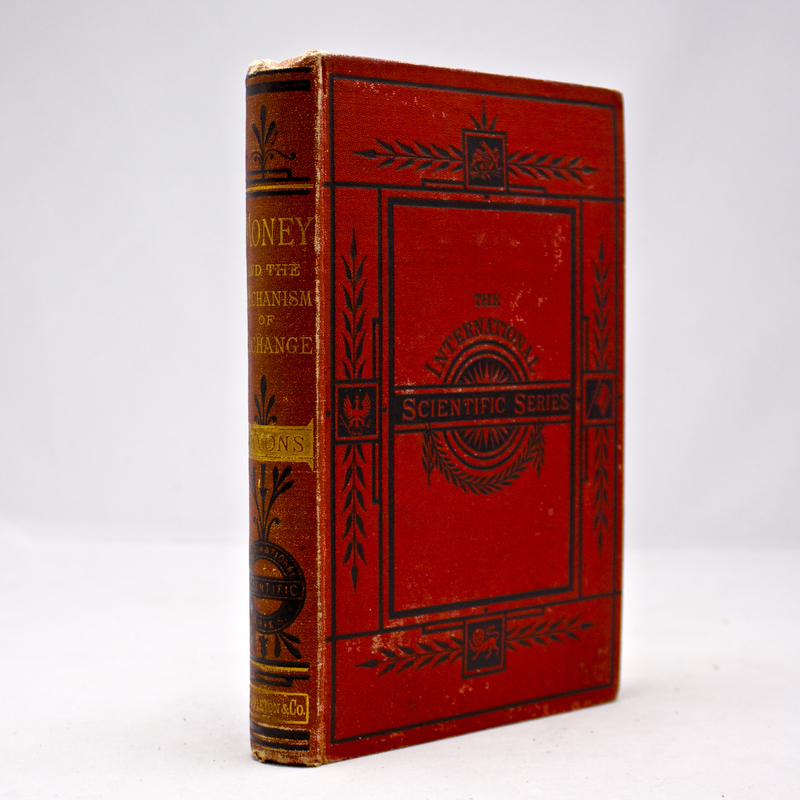 Jevons' work, along with similar discoveries made by Carl Menger in Vienna (1871) and by Léon Walras in Switzerland (1874), marked the opening of a new period in the history of economic thought. 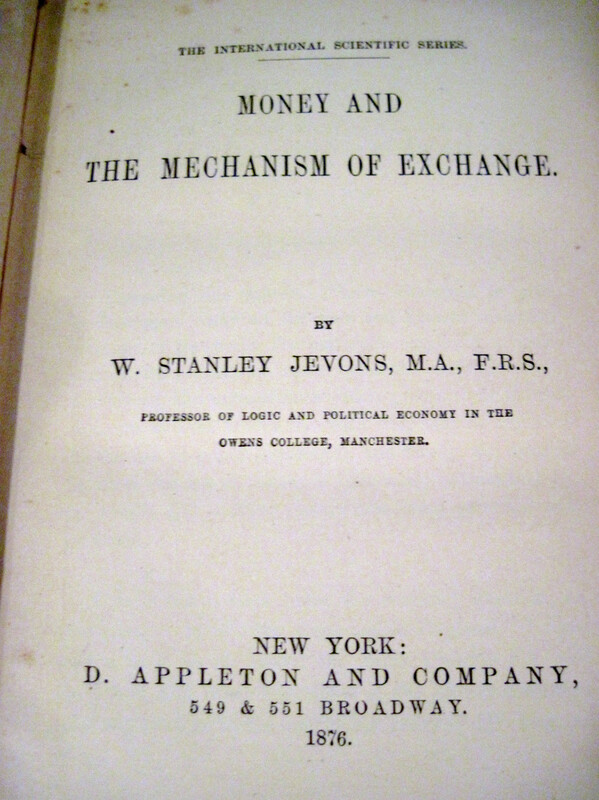 Jevons' contribution to the marginal revolution in economics in the late 19th century established his reputation as a leading political economist and logician of the time.